During the Cold War, the U.S. Department of Energy produced tons of nuclear material for the development of the nation’s nuclear weapons stockpile. 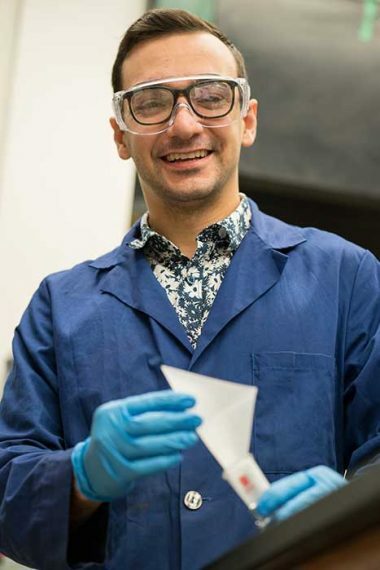 Today, the United States is awash in radioactive material from weapons production and some from nuclear power plants that could take 100,000 years to go away – unless Kavallieratos and students like Fortunato can find the molecule that could render the waste safer and reusable. In the lab, Fortunato is hoping to build on his successes in making more of these molecules for testing. He has been able to boost production of the molecule from a 10 percent yield to a 40 percent yield. 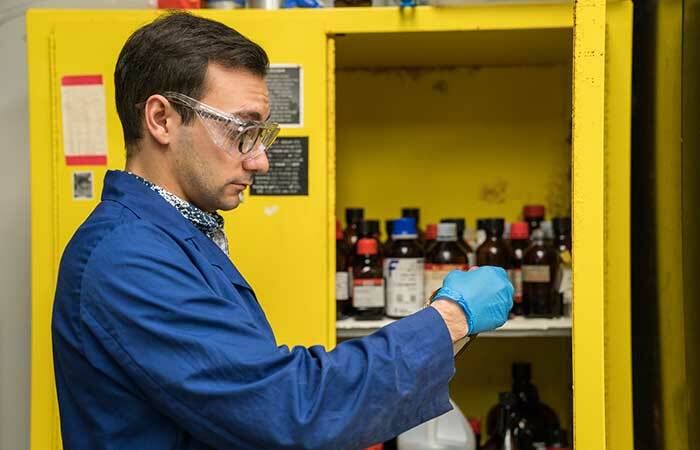 He has been able to turn it into a crystal – a key step in understanding it’s shape and ability to bind to those more harmful elements of nuclear waste. One day, Fortunato might join their ranks. For now, he’s learning what it takes to get there – measuring, mixing, analyzing and hopefully solving one of the country’s biggest problems as a newly minted assistant in Kavallieratos’ lab. Amazing. This is the kind of work mankind requires if we are all to survive and not poison that planet; going to the next level of replacing fossil fuels and who knows what i.e. biofuels; fuel cells; magnetic power…Star Trek Stuff for sure…Go FIU GO..